Sticking to a low-carbohydrate diet could help those with osteoarthritis, says a study. For those with osteoarthritis, a list of dos and don’ts is very necessary. There are many things including foods, habits and actions that can aggravate or alleviate this painful condition. 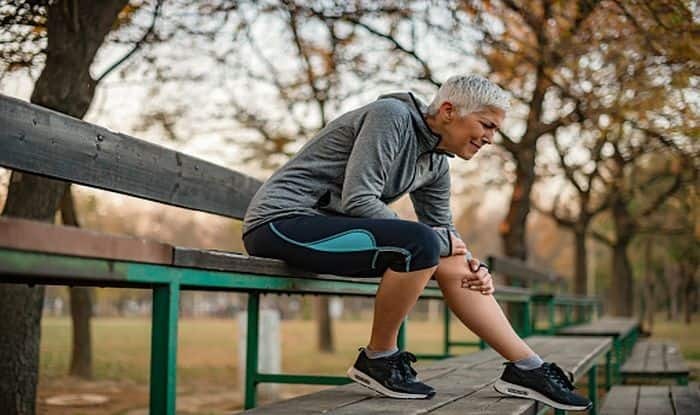 One of the most recent studies carried out on diet tips for arthritis states that a low-carbohydrate diet could help those with knee osteoarthritis. Osteoarthritis is a chronic degenerative condition related to joint damage. In this, the protective cartilage at the ends of the bones breaks down and causes the bones within the joint to rub together. This causes joint pain and stiffness. Osteoarthritis commonly affects knees, hips, spine and the joints in your hand. Some of the symptoms of osteoarthritis include pain in joints, early morning stiffness in feet and swelling in feet and back. This study published in the journal Pain Medicine says that a low-carbohydrate diet can reduce pain intensity and unpleasantness. The diet can also significantly reduce oxidative stress which is related to reduced functional pain. There are certain foods that could help alleviate pain associated with osteoarthritis. Bananas: This humble fruit can be very helpful for those dealing with arthritis. A banana is a powerhouse of potassium that plays an important role in reducing sodium retention and the calcification process of bones which accelerate bone loss. Bananas can help alleviate cartilage damage of the joints. Cherries: These tart fruits are full of anti-inflammatory flavonoids that fight free radical damage and thus help prevent joint damage. Milk: A study proved that milk was extremely beneficial in preventing osteoarthritis especially in women. Milk can help with building the bone structure and can thus delay osteoarthritis. Did you know that women are more likely to have osteoarthritis than men? Garlic: Garlic has powerful anti-inflammatory properties that make it excellent for dealing with a number of conditions including osteoarthritis. The compound diallyl disulphide in garlic could help reduce the pain. Pineapples: Bromelain enzyme in pineapples exhibits anti-inflammatory properties which help reduce pain. Lemons: Foods that contain Vitamin C, including lemons and oranges, help with collagen synthesis. Collagen is essential for repairing cartilage damage. Grapes: Eating grapes regularly can reduce pain and improvements in joint flexibility and overall mobility in those living with osteoarthritis. This is because of the presence of antioxidants called polyphenols in them. You must make sure to consult with your doctor before making any dietary changes.